If our region is to thrive, we need to attract more people to relocate and set up businesses here. With more people coming to live in the area, our local economy will flourish, and our property values should experience healthy rates of growth. However, for people to move to the Fraser Coast, they need more than stunning beaches. They need the sorts of services and facilities that can be found in the big cities. Of particular importance are health care facilities. It’s a need the government has come to recognise. To help facilitate more families moving to our region, the government recently committed itself to major upgrades of local health-care facilities. Including a $10m upgrade to Maryborough Hospital and a $44.6m upgrade of Hervey Bay’s Hospital Emergency Department, our region will become even more appealing for those considering living along the Fraser Coast. So how will significant investments in local hospitals translate into concrete benefits for our local economy? To start with, anytime there’s a hospital expansion or upgrade, such projects often involve significant levels of construction that require large numbers of builders. This not only creates direct employment, but also generates a lot of work for local contractors. These projects can often take years to complete, giving a long-term shot in the arm to the local employment rates. Yet even following the construction phase, hospitals continue to generate many jobs, both permanent and part-time. Apart from the medical professionals who find employment, a wide range of ancillary services also generate jobs. Whether in administration, IT, maintenance, accounts or human resources, many new jobs are likely to be generated. Hospitals are known to have a substantial flow-on impact on the local economy. By generating large numbers of jobs for both locals and people in surrounding areas, hospitals have a ripple effect throughout the region. By generating so many jobs, hospitals and other medical services are a catalyst for money being spent in the region. This creates opportunities for other local businesses, from local food producers, to retailers, and various service providers. Such increased economic activity boosts the local area, making it a more appealing area to live, and creates new opportunities for a host of other local businesses, both big and small. This ripple effect is enhanced even further when the government invests in new transport infrastructure. The local economic and employment boost that comes with hospitals impacts local house prices as well. With the generation of new jobs and economic activity, more people can be expected to relocate to the area. This raises the demand for housing from people who work at the hospital. There will also be demand for housing from those people who wish to live close to the hospital because they may need to go there on a regular basis if they suffer from certain medical conditions. For many Australians, being within close proximity to hospitals and other medical services is a key factor in deciding where to live. In a survey by MWH Global, respondents were asked to indicate what services would improve their quality of life if they were located within close proximity. 53% of respondents listed: “Better access to hospital/specialist medical care/24-hour medical care”. 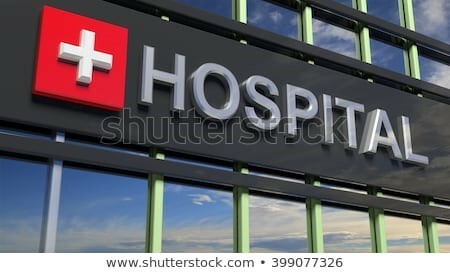 Even investors are attracted to a new or upgraded hospital as they know rental demand will also be stronger in the area. These areas should experience an ongoing benefit of increased demand, resulting in a strong local property market well into the future. With many new medical projects in the pipeline, local demand for property will surely rise. Getting in early will help ensure you secure a great family home for a great price.